The last few days have revealed more details on the forthcoming Christmas Special, A Christmas Carol, with the trailer broadcast on Children in Need, a brief synopsis, and two new promotional images. A quiet weekend, with news mainly on how Children in Need went (with the Doctor Who segment gaining over 10m viewers! ), and followups to the trailer being shown on that show. It's Children in Need tonight - if you are able to, please donate to the charity. The evening programme also saw the first broadcast of the trailer for A Christmas Carol. 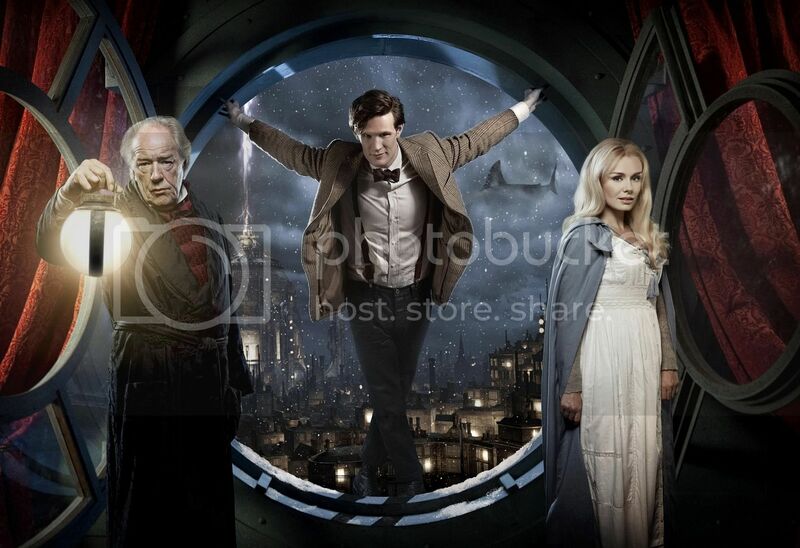 MTV(18th) - 'Doctor Who' Special To Air Christmas Day In the U.S., And Much More 'Doctor Who' News! Anglotopia(19th) - Doctor Who News Roundup – Christmas Special, Series 6 News – SPOILERS!!! Gather(18th) - BBC Invasion - Doctor Who and Torchwood Filming in the U.S.
HeyUGuys(18th) - Karren Gillan To Leave The Doctor For Romeo? The BBC have issued a press release for a competition to experience the Doctor's TARDIS! A visit to The Doctor's Tardis is just one of the experiences and specially-donated items available at a BBC Radio Cymru auction to help raise money for BBC Children in Need. Hot new Wales football star Gareth Bale's signed boots; a signed album from Duffy; bed and breakfast at the Celtic Manor Resort in Newport, with the chance to play a round on the Ryder Cup course; and the opportunity to go backstage to meet Pixie Lott after her Cardiff concert next month are just some of the other goodies waiting for the bidding to start on Friday 19 November. Radio Cymru presenter and singer Caryl Parry Jones has also offered to specially write a song as one of the lots under the hammer of comedian-turned-auctioneer for the day, Tudur Owen. He will open the bidding on the Dafydd And Caryl Breakfast Show, where they will also be joined by The One Show presenter Alex Jones – who will be presenting Children in Need's TV output from Wales' Millennium Stadium later in the evening. Tudur Owen will report on the bidding and some of the bidders' stories throughout the day with the auction coming to an end late afternoon on the Geraint Lloyd Show. Information on all the items on offer and how to bid can be found on the Radio Cymru website. The money raised for BBC Children in Need will go to support some of the most disadvantaged children and young people right here in the UK. 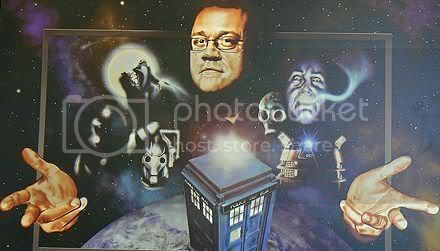 Doctor Who fans can also bid for another special part of the programme's history at the main Pudsey auction on the Children in Need website – a portrait of Russell T Davies, which has hung in the home of Doctor Who at the Upper Boat studios and has been donated by Russell himself. Media coverage on Matt Smith's appearance on the Late Late Show, Karen Gillan get a film role in Romeo and Brittany, David Tennant in United, and John Barrowman on Strictly Come Dancing. Plus, interviews with Piers Wenger and Russell T Davies revealing more details on Doctor Who and Torchwood. And Doctor Who is the Greatest Sci-Fi Show of All Time (according to Total Sci-Fi Online). Female First(16th) - Doctor Who Voted Greatest Sci-Fi Tv Show Of All Time! USA Today(17th) - Did you see Craig Ferguson's 'Doctor Who' show? IGN(16th) - Doctor Who's 1st Late Night Appearance! Guardian(12th) - Will Andy Carroll prove the difference that destroys the planet? Following Matt Smith's appearance on The Late Late Show with Craig Ferguson on Tuesday November 16, BBC AMERICA announces that the new Doctor Who Christmas Special will premiere in the U.S. for the first time on Christmas Day. The festive Dickens-inspired adventure, A Christmas Carol, is penned by award-winning lead writer and executive producer Steven Moffat (Sherlock, Coupling) and premieres Saturday, December 25, 9:00 pm ET. 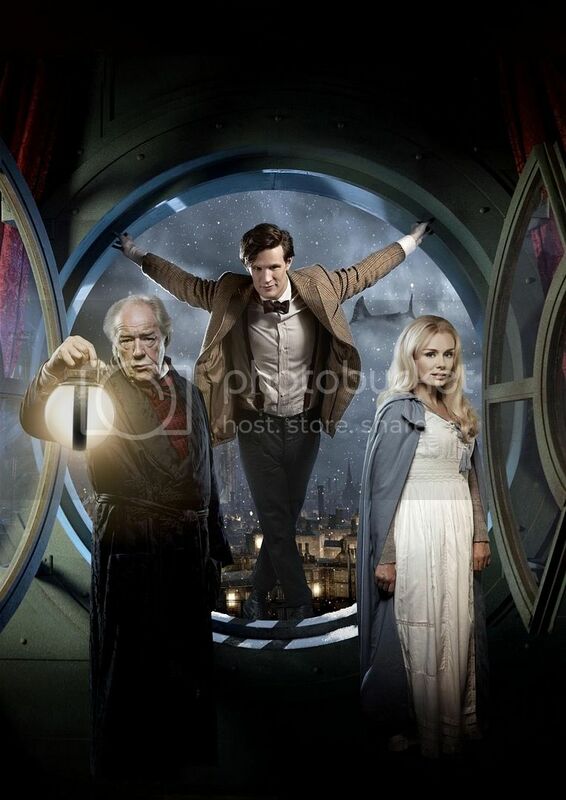 Newlyweds Amy Pond (Karen Gillan) and Rory Williams (Arthur Darvill) are joined by Harry Potter's Michael Gambon and Opera diva Katherine Jenkins, for what may be the Doctor's most Christmassy adventure yet. Lead Writer and Executive Producer, Steven Moffat, commented on the upcoming special: "Oh, we're going for broke with this one. It's all your favorite Christmas movies at once, in an hour, with monsters. And the Doctor. And a honeymoon. And ... oh, you'll see. I've honestly never been so excited about writing anything. I was laughing madly as I typed along to Christmas songs in April. My neighbors loved it so much they all moved away and set up a website demanding my execution. But I'm fairly sure they did it ironically." Perry Simon, General Manager, Channels, added: "Doctor Who has become a key part of the BBC AMERICA schedule, and having the opportunity to air A Christmas Carol on Christmas Day is like receiving our very own holiday gift. 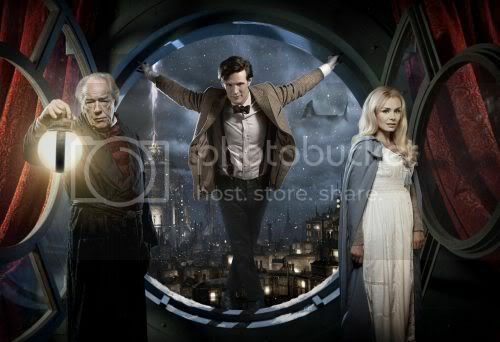 The Timelord may travel through time and space, but he's certainly found a home at BBC AMERICA." Doctor Who is currently filming in Utah for next season's two-part premiere set in the U.S. during the late '60s. Matt Smith, Karen Gillan, Arthur Darvill, Alex Kingston and guest star Mark Sheppard are all in production stateside. The next season premieres spring 2011 on BBC AMERICA. In the run up to A Christmas Carol on Christmas Day, BBC AMERICA will be running a marathon of the series, beginning at midnight on December 24 and leading up to this year's special. 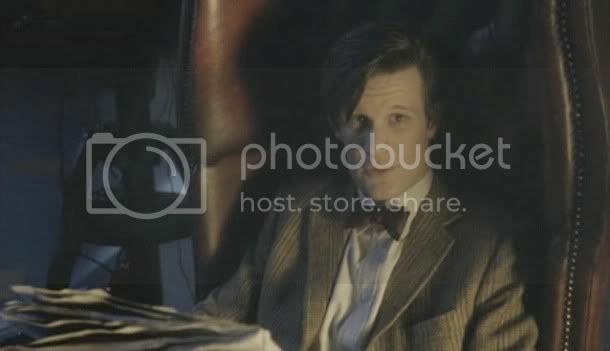 The marathon includes previous Christmas specials and a selection of favorite Doctor Who episodes from recent seasons. Christmas Day will also see the premiere the Doctor Who Prom, a live concert featuring stars Matt Smith, Karen Gillan and Arthur Darvill as hosts. The Doctor Who Prom was filmed earlier this year at the world renowned Royal Albert Hall and features appearances from the Weeping Angels, Daleks and the TARDIS. The BBC National Orchestra of Wales, who record the soundtrack for the series, present a selection of intergalactic music - including Murray Gold's music from the TV show, plus a selection of classical favorites. Fans can catch up on the new Doctor's first season with Doctor Who: The Complete Fifth Series Blu-ray and DVD, both are now available in stores. BBC AMERICA brings audiences a new generation of award-winning television featuring news with a uniquely global perspective, provocative dramas, razor-sharp comedies, life-changing makeovers and a whole new world of nonfiction. BBC AMERICA pushes the boundaries to deliver high quality, highly addictive and eminently watchable programming to viewers who demand more. BBC AMERICA is distributed by Discovery Networks. It is available on digital cable and satellite TV in more than 68 million homes.